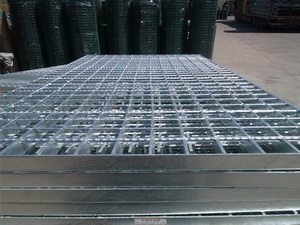 Product categories of Stainless Steel Grating, we are specialized manufacturers from China, Stainless Steel Grating, Stainless Steel Drain Grating suppliers/factory, wholesale high-quality products of Stainless Steel Floor Grating R & D and manufacturing, we have the perfect after-sales service and technical support. Look forward to your cooperation! 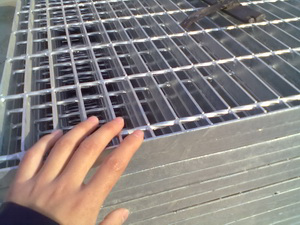 Stainless Steel Grating has been the standard industrial foot walk product for severe corrosive environments and has been a popular grating choice for many years. 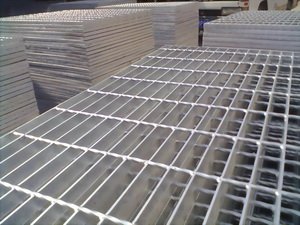 Our company manufactures stainless swaged Bar Grating from type 304 and 316 stainless steel bar. Stainless Steel Grating is used at chemical plants, food processing facilities, oil and gas producers and is also used in many other commercial and architectural applications. Unless specified, stainless steel grating will have a mill finish. The heat from the electro forge process produces a discoloration to the surface of the welded area. Electro polishing is a means to remove the discoloration and is available upon request. 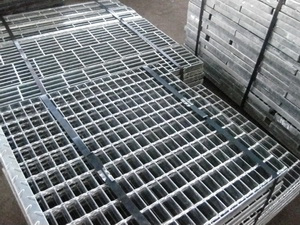 Swaged Stainless Steel bar grating is produced by interlocking cross rods with bearing bars at right angles. 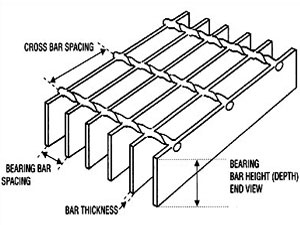 Swage bar grating comes in a variety of spacing, including openings of 7/16" between bearing bars - which conforms to the "Americans with Disabilities Act" (July, 1991). Swaged Stainless Steel grating is used in food processing facilities, chemical plants, oil & gas refineries and other commercial and architectural applications. Slip resistant and serrated surfaces are available upon request. Materials: The most common material is Type 304 (SUS304), however, Type 316 (SUS316) or Type 316L (SUS316L) is also available. 304 stainless steel is the most popular type contains both chromium and nickel to provide excellent balance resistance and workability. 316 stainless steel is better corrosion, pitting resistance and higher strength at elevated temperatures than 304. 316L is extra low carbon variation of 316 to avoid carbide precipitation due to welding. When considering grating for food processing applications, shipboard use, or highly corrosive environments, Grating Pacific Stainless Steel Grating is often the most cost effective product. 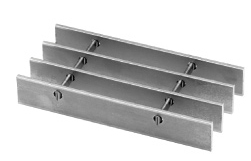 Commonly manufactured in 300 series alloys, stainless steel gratings are assembled by welding or pressure locking to suit the specific needs of each application.